U.S. savings bonds are one of the most widely held securities in the world. Everyone's life situation is different, so there is no one-size-fits-all rule when it comes to saving. One thing that is common to most people is the need to have some money in set aside in a safe, easily accessible place for emergencies. One of the big advantages of both savings accounts and U.S. savings bonds is their safety — but that safety comes at a price. Both U.S. savings bonds and saving accounts at banks that are members of the Federal Deposit Insurance Corp. are among the safest of all investments. The principal and interest on U.S. savings bonds are backed by the full faith and credit of the U.S. government. Savings account deposits at FDIC-member banks are insured up to $250,000. Deposits in a bank savings account are more readily accessible than U.S. savings bonds. You can withdraw funds from your savings account during regular business hours on any business day, and many banks provide 24-hour access to funds through automated teller machines. Series EE and Series I savings bonds must be held for at least one year before they can be redeemed, and they lose three months interest if they are redeemed within the first five years. 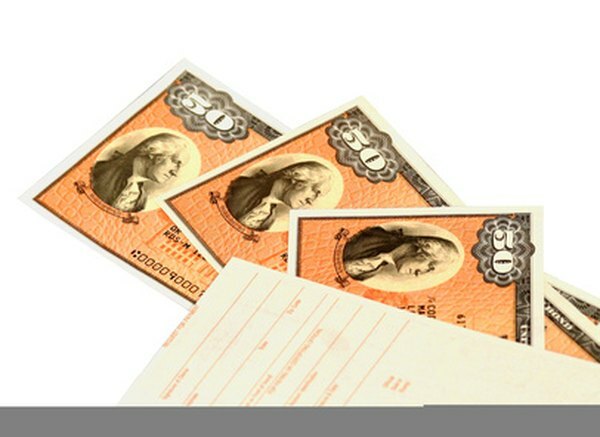 Many banks and other financial institutions will redeem paper savings bonds with proper identification. Electronic savings bonds must be redeemed through the government's TreasuryDirect website, and the funds are credited to your checking or savings account within one business day. The risk associated with the investment and the length of time you are willing to leave your money on deposit are the primary factors that determine interest rates. Since the risk involved with both savings accounts and U.S. savings bonds is quite low, the interest rate paid on these investments is also low. U.S. savings bonds typically offer a higher interests rate than savings accounts, in part because they are longer-term investments. If you need to earn a higher interest rate from your savings account money, consider investing in longer-term certificates of deposit. Any interest you earn on your deposits in a bank savings account is taxable on your local, state and federal income tax return in the year those funds are credited to you account. The interest on U.S. savings bonds is exempt from state and local income taxes. You have the option of paying taxes on the interest earned on savings bonds each year, or you can defer paying taxes on your bonds until they mature or you cash them in. MSN Money: Do You Have Emergency Savings? What Constitutes a Jumbo CD?